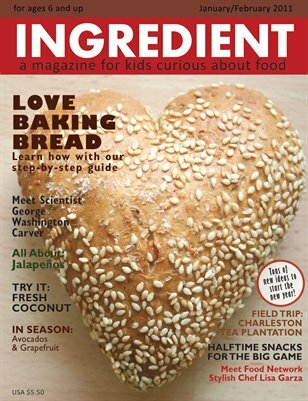 Cooking magazine of general interest for children ages 6-12. This issue features an in depth look at coconuts and a recipe for coconut curry. The Kitchen Pantry Scientist explains the science of bread making, plus a step-by-step tutorial, is included for young would-be bakers. A feature on chili peppers and jalapenos explains why some foods taste hot and spicy, plus it includes a recipe from www.jalapenomadness.com expert Michael Hultquist. Another feature includes a trip to the United States' only tea plantation, plus special tea valentine projects. Also included are a cuisine quiz, gadget guess and fun food calendar.